Live And Let Die: Roger Moore and Jane Seymour on the set of Roger's first outing as 007. Sir Roger Moore, Film and TV star and more recently, UNICEF Ambassador, has died at his home in Switzerland at the age of 89 after a short battle with cancer. 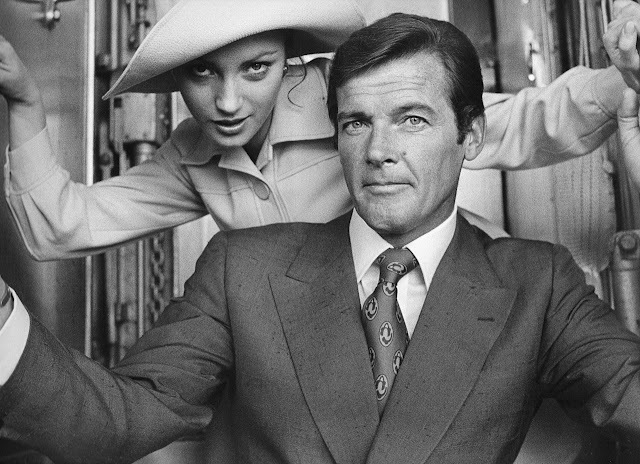 It goes without saying that Sir Roger was well known the world over as Simon Templar in 'The Saint' from 1962 to 69 and then achieved even more recognition as James Bond 007 in seven films from 1973 to 1985 beginning with the George Martin scored 'Live And Let Die' and ending with 'A View To A Kill'. Sir Roger's work with UNICEF is less well known but ultimately far more important. Since Audrey Hepburn introduced him to the organization, Sir Roger got involved in 1991 as a Goodwill Ambassador and worked tirelessly for them for decades. He was knighted by Queen Elizabeth II in 2003 for his work with the organization. Sir Roger is and always will be much loved among us Bond fans. His portrayal of 007 brought a new dynamic to the role and furthered the longevity of the James Bond franchise. I firmly believe that if it wasn't for Sir Roger Moore, the James Bond films would not be what they are today. 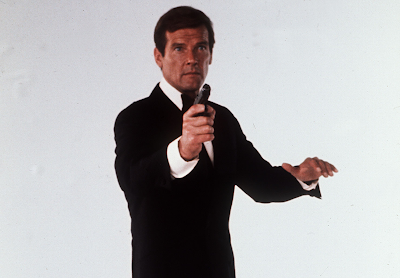 You may all have your favourite Bond actors, whether they be Connery, Lazenby, Dalton, Brosnan or Craig, you cannot deny Sir Roger Moore held the role with the suave sophistication that we've come to expect from Britain's favourite secret agent. So, we shall raise a glass and toast the memory of a truly great storyteller and actor. Here he is in a memorable interview on 'Des O'Connor Tonight' in 1994 being brilliant. Goodbye and thank you for everything, Sir Roger Moore.